The Reverend Hendricks of Angier, North Carolina was born in Conway, SC, to Evan Bryant Hendricks, Sr. and Grace Appleby Hendricks. He is survived by his wife Margaret of Angier, daughter Nancy Brody (Rees) of Mooresville, NC; daughter Kim Truesdale (Eric) of Angier, NC; daughter Polly Perret of Angier, NC; daughter Paula Brown of Lexington, SC; and son Artie Hendricks (Valerie) of Raleigh, NC. He was preceded in death by his son John Kirkwood Hendricks, Jr. The Reverend Hendricks is survived by 12 grandchildren and 19 great grandchildren. He is survived by brothers George Hendricks and Buddy Hendricks of Charleston and James Island, SC, respectively. He was preceded in death by brothers Richard Hendricks and Evan Bryant (EB) Hendricks, Jr. The Reverend Hendricks started his ministry in 1961 and was ordained an Elder in the South Carolina Conference of the United Methodist Church in 1978. He served the Sampit Methodist Charge in Georgetown, SC, from 1961-62; Folly Beach United Methodist Church, 1962 – 70; Red Bank United Methodist Church in Lexington, SC, 1970 – 74; Harris United Methodist Church in Greenwood, SC, 1974 – 76; Trinity United Methodist Church in Newberry, SC, 1976 – 80; Ware Shoals/Hodges United Methodist Charge in Greenwood County, SC, 1980 – 86; St. Paul United Methodist Church in Ninety Six, SC, 1986 – 94. He retired in 1994 and served as interim pastor at Lakeview United Methodist Church in Lakeview, SC, in 1996, and Hardeeville United Methodist Church in Hardeeville, SC, 2000 – 01. 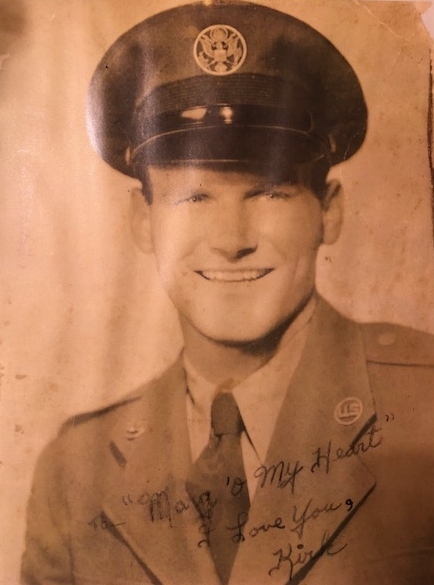 The Reverend Hendricks was a United States Air Force veteran serving three years earning the National Defense Service Medal and Good Conduct Medal. He was a person of great faith who deeply loved his family. The hallmark of his ministry to others was to see the best in those he served. A memorial service will be held at 1:00 PM Saturday February 9, 2019 at Kipling United Methodist Church with The Reverend Melinda Ivey officiating. The family will receive friends Saturday from 12:00 PM-12:45 PM at the church and other times at the home. A private graveside service will be held at Olive Branch Cemetery in Kipling. In lieu of flowers, memorials may be made to the John Hendricks Memorial Scholarship Fund for Laurens District 55 High School Students at United Community Bank, 101 W. Main Street, Laurens, SC 29360.